Age 94, died peacefully on September 17, 2018. 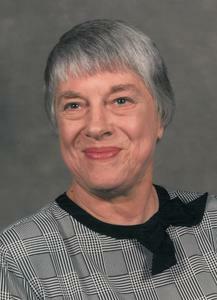 Jane was born May 22, 1924 in Kalamazoo, the daughter of Peter and Margaret Eilander. She enjoyed being a lifelong member of First Presbyterian Church. Jane was preceded in death by her husband, John; and her step brother, Robert Kegerreis. Surviving are her 2 children: Stacey Steurer and John “Scott” (Laura) Steurer; 2 grandchildren: Samantha and Alexandra; 2 step siblings: Jim (Charlotte) Kegerreis and Margaret Watson; and many nieces and nephews. Cremation has taken place. Services will be held at 11 AM on Friday (Oct. 5) at the First Presbyterian Church, 321 South St, Kalamazoo. Interment will take place in the chapel columbarium. Please visit Jane’s personal web page at www.BetzlerFuneralHome.com, where you can read her story, archive a favorite memory or photo and sign her online guestbook. In lieu of flowers memorial contributions may be made to Hospice Care of Southwest Michigan. Arrangements by Betzler Life Story Funeral Home, 6080 Stadium Dr Kalamazoo, MI 49009, (269) 375-2900.